Your order will ship MONDAY if placed in the next 21 hours 3 minutes . Enter your shipping address zip code to receive an instant delivery date estimate from UPS. CCI Mini-Mag High Velocity 22 Long Rifle Ammo 40 Grain Copper Plated Round Nose ammo for sale online at cheap discount prices with free shipping available on bulk 22 WMR ammunition only at our online store TargetSportsUSA.com. 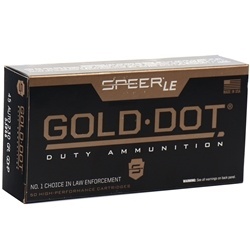 Target Sports USA carries the entire line of CCI ammunition for sale online with free shipping on bulk ammo including this CCI Mini-Mag High Velocity 22 Long Rifle Ammo 40 Grain Copper Plated Round Nose. CCI Mini-Mag High Velocity 22 Long Rifle Ammo 40 Grain Copper Plated Round Nose ammo review offers the following information; CCI has been loading rimfire ammunition since 1962! It is known in the shooting industry as one of the leaders in manufacturing high quality rimfire ammunition. CCI has made a reputation for delivering reliable ammunition that delivers exceptional performance shot after shot. This CCI Mini-Mag High Velocity 22 Long Rifle ammunition is loaded with a 40 grain Copper Plated Round Nose bullet. CCI's skilled ballistics staff has improved the lot to lot accuracy of this specific load. It is perfect for shooters looking for accuracy and consistency. CCI Mini-Mag ammunition is ideal for small game hunting and general plinking. 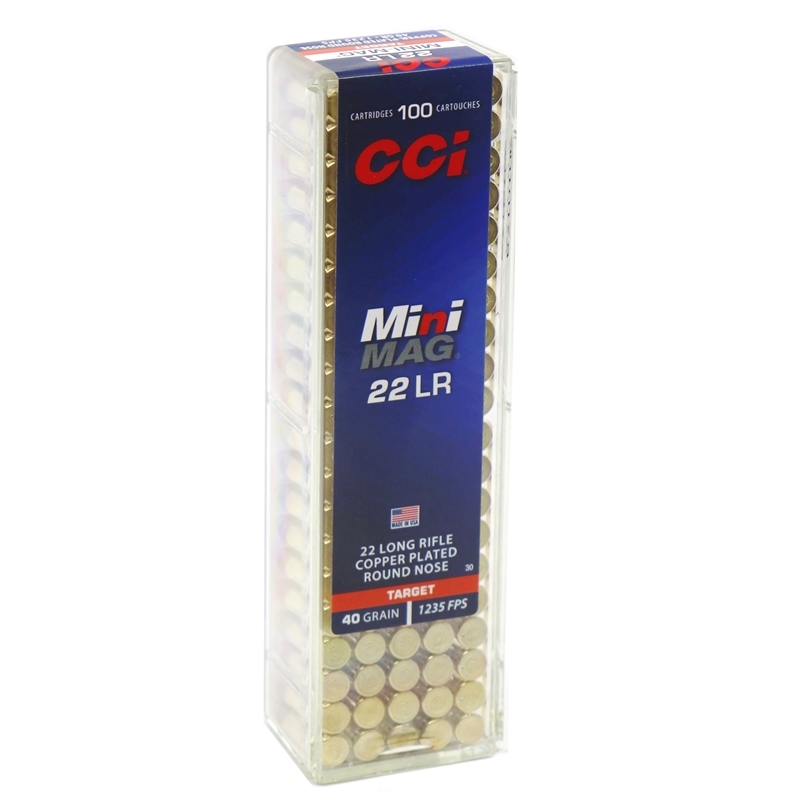 CCI Mini-Mag is one of the industry's leading high velocity rimfire rounds that features clean-burning propellants helping to keep the action cleaner than other popular rimfire ammunitions. This copper plated round nose ammo has a muzzle velocity of 1235 feet per second and a muzzle energy of 135 foot pounds, making it a great choice for plinking, pest control, and small game hunting. CCI Mini-Mag is non-corrosive, new production ammunition that features Sure-fire CCI priming technology and brass cases. CCI packages its ammunition in reusable plastic boxes with dispenser lid for easy transportation. CCI 22 Long Rifle ammunition is packaged in a box of 100 rounds or a case of 5000 rounds for your convenience and is the perfect choice for an accurate long range shot every time! CCI Mini-Mag is non-corrosive, new production ammunition that features Sure-fire CCI priming technology and brass cases. 1st order from Target Sports USA Damaged in Shipment, Pictures say it all, could only post 1 picture Great CCI 22lr ammo, no question there, again great value, but packing plastic cases all busted up, I will buy local so I can see what I am purchasing I would of complained, they would of just probably blew me off If this is what you want by all means order this, I am pretty sure this is what you will get like I did. Shipping was Fantastic At my house the next day. Great prices. Thank you Target Sports USA.